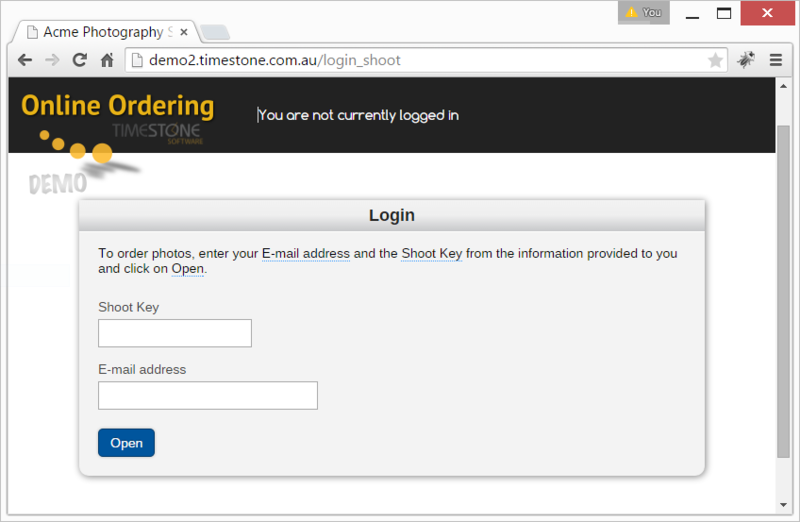 An option is available in IOS to force a customer to enter an email address along with the shoot key in order to proceed to the next stage of viewing images and products. The email address, along with a host of other information, is captured and available to view and download and a CSV file even if the customer does not continue through to placing an order. It is anticipated this information can then be used for sales and marketing purposes especially with respect to customers who visit the website but do not proceed to place an order. The system only checks the email address is in the correct general format (e.g. name@domain.com). It does not verify the email address is correct or exists. Email capture is an option that is enabled with an entry into the settings.ini file of your site folder. The site folder is accessed with sFTP credentials provided when IOS was setup for you. Access to the data is protected by a username and password. These credentials are the same as those provided to you in order to gain sFTP access to the site folder. Some browsers such as Apple Safari allow the data to be viewed before downloading the csv via File>Save as. Other browsers such as Google Chrome will immediately prompt to download and save the CSV. the payment status of the order key (if any). The moment the customer places products into the cart an order key is generated. The order key remains with the 'order' regardless of whether the customer proceeds to check out and regardless of whether the customer proceeds to check out but does not pay for the order. A blank Order Key indicates the customer did not add anything to the cart. The Paid column indicates what happened with the order once the customer placed products into the cart. Paid=1 indicates the order was paid. 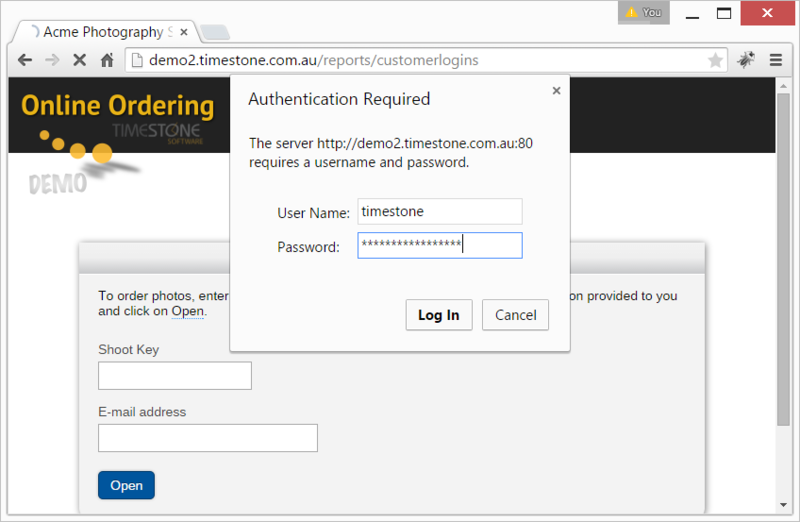 The url http://yourwebsite/reports/customerlogins will always retrieve all customer logins. However additional parameters are available to limit the data retrieved.